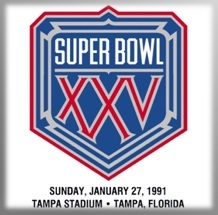 Super Bowl XXV: Giants 20 Bills 19…My Bills that is….sigh OK here goes…be fair..not a fan…be fair…*gasp* The Giants made it to Tampa on the heels of one of the greatest NFC Championships ever played in their 15-13 defeat of the two time champion San Francisco 49ers. The team the Giants were built to defeat. What was beautiful was how the Giants and 49ers each steamrolled toward the ’90 NFC title tilt like two tractor trailers headed for a head on collision. Each had won 2 playoff games against the other in head to head during the 1980’s. Yet the Giants had won the last two in 1985 and 1986. The latter was a 49-3 destruction which took place in the ’86 divisional round. A game made famous when Joe Montana was knocked from the game with a severe concussion by Giant Jim Burt (from the[[_]]). The Giants were built by the late GM George Young. Yet it was Bill Parcells and DC Bill Belichick who designed his defense to throw off the timing of the 49ers offense, mainly though disrupting the receivers by knocking them off their routes. Enter Mark Collins, who was drafted in 1986 from Cal State Fullerton. He was the best cornerback that covered Jerry Rice on a continual basis. Bumping him at the line of scrimmage and getting a good re-route that makes the cover 2 defense go…funnel the receivers in to the linebackers and safeties. This team had some big safeties in Myron Guyton and Greg Jackson….couple these guys with the aging yet effective Everson Walls and this was a solid secondary. Did I forget the linebackers off this team? Linebacker and New York Giants just go hand in hand don’t they? Pepper Johnson (5 rings), Gary Reasons, Carl Banks, and Hall of Famer Lawrence Taylor were stout. Stopped the run…rushed the passer and for one game against the 49ers in the NFC Championship in 1990 they flip flopped Lawrence and Carl Banks so that Taylor was rushing on Steve Wallace and had Leonard Marshall work against Bubba Paris…uh…we’ll get to that. Then you had the front line in a 3-4 that was just beefy in Erik Howard (who replaced the departed Burt) Eric Dorsey, and future Hall of Famer Leonard Marshall. Immovable on the point and still could collapse the pocket. What’s funny is that the 49ers in the ’89 playoffs, were on their way to repeat as champions and they caught a huge break. While they were beating Minnesota, the Giants were locked in a dogfight with the L.A. Rams and were tied at 13 in overtime. First, the Giants were flagged on a very questionable pass interference by Sheldon White that moved the Rams into field goal range. The next play Mark Collins breaks his ankle and the Rams rushed to the line of scrimmage and sent Flipper Anderson (Collins was covering) on a go route to end the game 19-13. The Giants would have stopped that 89 ‘Niner team. Of course friends wouldn’t listen and everyone was talking 3 peat. I told everyone the Niners aren’t built to handle the Giants and each team came in on a mission steamrolling to 10-0 start to the season, the both of them. Met on a Monday night each 10-1 and proceeded to beat the hell out of each other in a defensive struggle so good it was artistic. The Niners won 7-3 but could they win the rubber match?? Yes Everson Walls got to celebrate a big win in Candlestick Park… this was only the 2nd road team to win the NFC Championship in 11 years dating back to 1980. OJ Anderson, from The [[_]], was a workhorse and won Super Bowl MVP honors. I didn’t think they could bounce back from such a dogfight within one week yet they did and held down MY BILLS with a power running game and kept the ball for 40 minutes. It’s still painful to think of the kick Norwood missed..and many folks say that the 86 Giants were better…but look at the two teams they had to beat to get this ring: The almost 3-peat 2 time Super Bowl champion 49ers and a juggernaut Buffalo Bills team that won the AFC Championship 51-3, were up 41-3 at the half and the starters were on the bench before the 4th quarter. San Fran played in the 2 Super Bowls previous and Buffalo would play in the next 3. That is much stronger than defeating a wildcard 10-6 Redskin team in the ’86 NFC Title and Denver in XXI. In fact the ’90 run they had to beat 1 Hall of Fame Coach in Marv Levy and 9 Hall of Fame players on the 49ers and Bills. The 2 championships in ’86 had just Joe Gibbs and 3 Hall of Famers on the Redskins and Bronco squads. I’d have to put this 90 team over the 86 team because of the strength of opponent to achieve both NFC and Super Bowl titles were stronger…that’s my take…what do you think?? 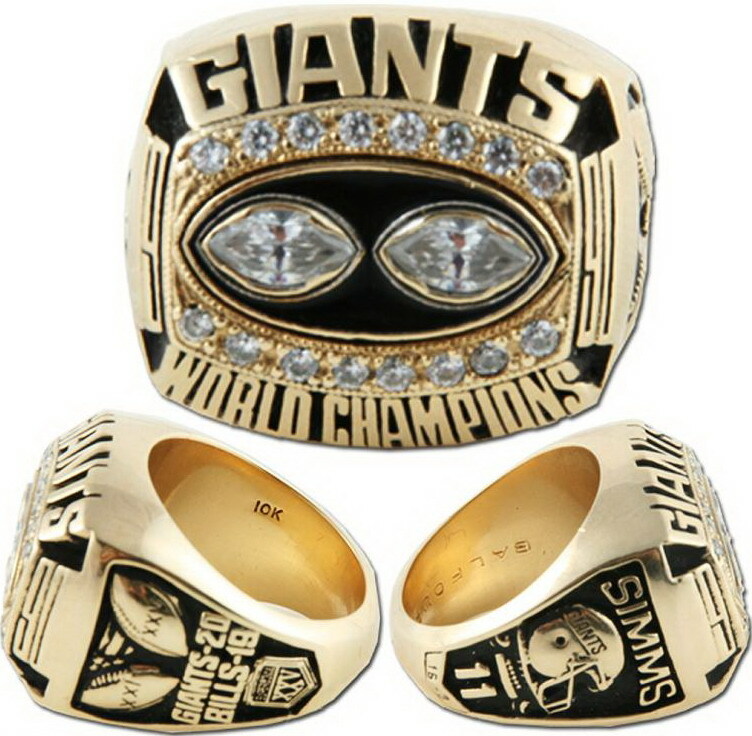 Super Bowl XXI Giants 39-20 over the Broncos. I was one of those that was all set for the Bears to repeat as champions …yada yada yada….who’s got the ring? On the way out to Pasadena, they blew out The Team of the 80s 49ers 49-3 in the divisional playoff. The NFL’s worst playoff beating of the decade. Then shut out division rival Washington 17-0 for the NFC Championship. Are you kidding?? They came through the playoffs with a combined score of 66-3. Talk about dominant. So they were off to Super Bowl XXI in Pasadena’s Rose Bowl. There is something about the Super Bowl being played in the Rose Bowl. It just has a regal look and feel to it. When the Giants mauled (dont know if thats a strong enough adjective) the 49ers 49-3 in the NFC Divisional Playoff, you knew the Washington Redskins were going to be in deep trouble in the championship round. Sure they had upset the Bears but that was with 3rd or 4th string QB Doug Flutie. I don’t ever like to say in sports that it was over but you would have had to field an all star team to stop them because they were comin’!! Hosting the NFC Championship, a fierce swirling wind became the story of the game. The Giants won the coin toss and took the wind. The Redskins couldn’t run and came out to 3 straight 3 and outs. Subesquently they had 23, 27, and 28 yard punts into the wind which led to the Giants playing on a short field. They took a 17-0 first half lead and the game was over. Other hatchet men on that defense?? All Pro Leonard Marshall at DE had 12 sacks that year & nearly beheaded Jay Schroeder on one sack in the NFC Championship. Pro Bowl NT Jim Burt held down the middle and knocked Joe Montana out cold in the divisional playoff. Carl Banks totally owned the strong side dominating opposing TEs. Crafty George Martin, Harry Carson, Gary Reasons formed a formidable defense and get this: With all this talent and being the leagues #2 defense in 1985, they drafted LB Pepper Johnson (5 rings player and coach) CB Greg Lasker, DE Eric Dorsey, NT Erik Howard, and CB Mark Collins in the draft! Collins was the reason the Giants could handle the 49ers for the next 7 years because he shut down Jerry Rice better than any corner over Rice’s career. This is before we even get to Phil Simms or Joe Morris who ran for 1,516 yards and 14TDs that year…but really that defense at its peak was just frightening. 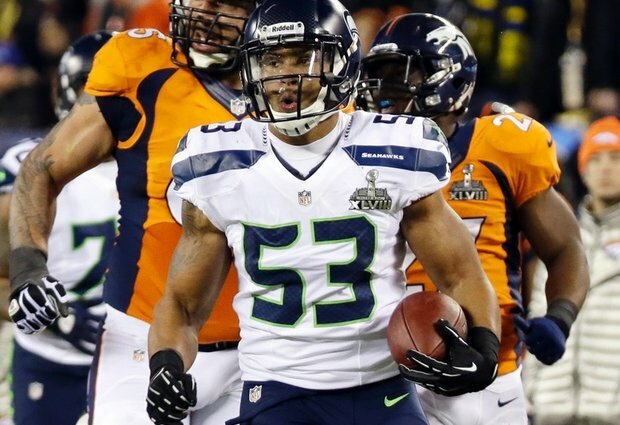 When Malcolm Smith crossed the goal line to put Seattle up 22-0 in last February’s Super Bowl, pundits were already arguing where they ranked among the NFL’s greatest defenses. Here at Taylor Blitz Times we wanted to let some time pass before we waxed too philosophical about their exploits. As the keeper of the flame, it’s up to The Chancellor of Football to accurately place each great defense. We will do this in 3 parts. Smith’s 69 yard interception in Super Bowl XLVIII ended the competitive phase of the game and trumpeted the question: Where would you rank Seattle’s defense with the all-time greats?? One of the criteria for greatest ever defenses you have to ask is: How dominant were they at their peak? They had to bring the lumber over an entire season. These defenses had to be stout with a performance that stands the test of time in remembrance. Without further adieu we have to get on with the Honorable Mention. Those right outside the top ten. 1977 Denver Broncos – The original Orange Crush defense that led the Broncos to Super Bowl XII and Denver’s first ever winning season. This was the first great full time 3-4 defense that yielded only 148 points (10.6 pts / game) and just 18 touchdowns for the season. Holding 7 of their opponents to 10 points or less. Even with an offense that turned it over 8 times, the still held Dallas to 27 points in Super Bowl XII. Led by Randy Gradishar, ESPN’s Tom Jackson, and the late Lyle Alzado this defense had an unheard of 4 All Pros concentrated on this defense and 5 Pro Bowlers. This not ready for primetime group came out of nowhere and swallowed the Steelers and Raiders in the playoffs before falling to Dallas in New Orleans in Super Bowl XII. This group swarmed like bees and ushered in the era where 3-4 defenses took over the NFL. 1978 Pittsburgh Steelers – In the first year in which the NFL moved to a 16 game schedule, this group set the new record with fewest points allowed in a season with 195. Powered by the Steel Curtain, they held 8 of 16 opponents to 10 or fewer points. This group did more blitzing than in years past to get to the quarterback. They did have 5 Pro Bowl defenders and 1 All Pro in Jack Ham, but there were stronger incarnations of the Steeler defense. 1968 Baltimore Colts – The team that is best known for coming up short in Super Bowl III against the AFL’s New York Jets. In The Chancellor of Football’s estimation, this was the best team that Don Shula ever coached and one of his defensive assistants was the late Chuck Noll. This defense held 10 of 14 regular season opponents to 10 or fewer points. At one point late in the season, they gave up 1 touchdown over 25 quarters including a string of 16 straight quarters w/out a touchdown allowed. The Colts of ’68 shut out 3 regular season opponents and the fourth was against the Browns who gave the 13-1 team their only loss. That drubbing was avenged 34-0 in the NFL Championship Game. They even set the record with only 144 points allowed. Between 1967 & 1968 their record was 24-2-2. If only this team had won on January 12th 1969…..but…. 2000 Tennessee Titans – Lost in the delirium over the great 2000 Ravens defense, is the fact they finished #2 to the Titans that year in rankings. Jeff Fisher’s bunch only allowed 238.9 yards per game and held 6 opponents to 10 points or less over the campaign. Second year DE Jevon Kearse led the team with 11.5 sacks and 4 forced fumbles. Samri Rolle had 7 interceptions he returned for 140 yards and a touchdown. SS Blaine Bishop had 84 tackles to go with 2.5 sacks but 0 interceptions. All three were Pro Bowlers but only Samari was an All Pro Player. One issue is they didn’t force enough turnovers (29) and they finished just +1 in turnover ratio. These are poor marks considering they only saw 1 Pro Bowl quarterback the entire season. Yet they were #1 against the pass (151 yds /gm) and #3 against the run (86 yds /gm). 1987 San Francisco 49ers – One of the last teams to finish with the NFL’s #1 offense and defense happened with this group in 1987. They were gaining momentum allowing only 1 touchdown in the final 16 quarters of the season and none in the final 12 as the playoffs beckoned. They held 5 opponents to 10 or fewer points including two shutouts in their final three games. One of which was a 41-0 hammering of the NFC Central Champion Chicago Bears on Monday Night Football. Led by All Pro and Pro Bowler Ronnie Lott (5 ints) this group was #1 against the pass (165 yds /gm) while only yielding 273 yards for the game. What makes this more remarkable are 3 games were played with replacement players due to the strike. Had the season been 16 games instead of 15 and no strike, these numbers could have been even better. They were also #5 against the run (107.4 yds / gm) thanks to All Pro and Pro Bowl Nose Tackle Michael Carter. Jim Burt knocking Joe Montana out with a concussion in their 49-3 rout in the ’86 playoffs. 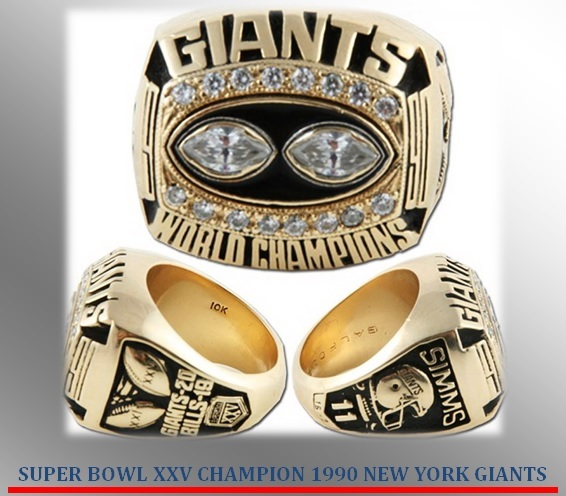 1986 New York Giants – A romanticized defense that knocked 5 quarterbacks out on their way to the Super Bowl XXI championship. Yet they were #2 in 1986 and allowed 39 more yards per game than the #1 Chicago Bears with 297.3 yards per game. Second biggest discrepancy between #1 and #2 since 1970. Led by League MVP and Defensive Player of the Year Lawrence Taylor’s 20 sacks, New York held 5 teams to 10 points or fewer during the regular season. They held their 2 NFC playoff opponents to 3 & 0 points respectively. There were 4 Pro Bowl defenders on this defense in LB Harry Carson, NT Jim Burt, DE Leonard Marshall, and the aforementioned LT.
2008 Pittsburgh Steelers – Close but no cigar. This team finished with the #1 ranking allowing just 237.2 yards per game. They held 8 opponents to 10 or fewer points yet gave up 223 for the season. One mark against them is they only faced 2 Pro Bowl QBs and lost both games. Losing 24-20 to Peyton’s Colts and 21-14 against Eli’s Giants. This was also the year they beat the Patriots 33-10 with Matt Cassel at QB not an injured Tom Brady. Big difference. This group had 51 sacks but only 20 interceptions. The last time we saw them, Kurt Warner passed for 377 yards, 2nd highest in Super Bowl history, and needed Big Ben to bail them out with a game winning pass with :32 left. This group did have NFL Defensive Player of the Year James Harrison and Pro Bowl SS Troy Palamalu who would win the award 2 years later. Harrison had 16 sacks with 7 forced fumbles. James Farrior (122 tackles) was the 3rd and final Pro Bowler on a talented roster which included LaMarr Woodley (11 sacks). They were a world champion but this group didn’t perform high enough against the best competition. The top ten is a Sugar Ray Leonard’s list, the honorable mention is where Thomas Hearns resides. Dwight Smith capped off Super Bowl XXXVII with 2 defensive touchdowns. Should have been the MVP. 2002 Tampa Bay Buccaneers – The final team to miss the call to the top ten was the 2002 Buccaneers. The undisputed #1 defense that year. However playing in the new NFC South they feasted on patsies. On 3 occasions they took on top 10 offenses and they lost two of those games to Philadelphia (10th) and Pittsburgh (5th). This team yielded 252.8 yards per game had 43 sacks and 31 interceptions which ranked 6th and 1st respectively. This team only gave up 196 points while holding 9 regular season opponents to 10 or fewer points. However a closer look reveals they came against offenses ranked 26th, 18th, 14th, 23rd, 31st, 31st, 12th, 14th, and 29th. Chris Redman (who??) quarterbacked the Ravens who was the first in this group. While NFL journeyman Jim Miller led the Bears in the last game. 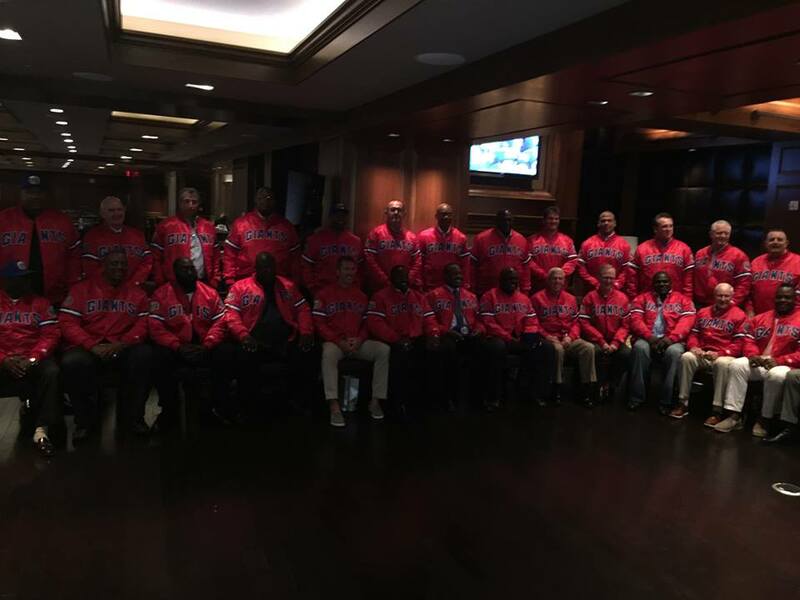 This team fielded 5 Pro Bowl players in NFL Defensive Player of the Year Derrick Brooks, Shelton Quarles, Hall of Famer Warren Sapp, Simeon Rice (15.5 sacks), and S John Lynch. This group scored on defense. Brooks tied the NFL record with 4 defensive touchdowns and CB Dwight Smith set a Super Bowl record with 2 interception returns for touchdowns. Their numbers and performance should get them in until you look at the competition. Someone reading this is going to describe how they throttled the #1 Raider offense in the Super Bowl. Yet how much do you attribute to Monte Kiffin’s defense or Jon Gruden knowing the Raider offense and personnel?? Thanks for reading and now its time for the top 10. Roger Staubach ran for his life in Super Bowl X as Dwight White and the Steelers sacked him 7 times in the game. Neither of these teams have cheerleaders. If they did they would have to wear shoulder pads for this one for it would be a bloodbath. A game of nothing but hitting. The smashmouth Giants from the NFC East which began 10-0 and finished13-3 and the 12-2 defending champion Pittsburgh Steelers at the height of their power. Each had to endure physical conference championship games and Super Bowls to make it to this game. In Pittsburgh’s scenario, they had to beat the revenge minded Oakland Raiders 16-10 to make it to Super Bowl X. However George Atkinson gave the Steelers a going away present by knocking out Lynn Swann on an icy field. Yes, we mean a boxing ten count! Joe Greene had to come take him off the field. Then hold off the Cinderella Cowboys 21-17 in the best of the first 10 Super Bowls. In that one, K Roy Gerela wound up with bruised ribs after tackling Thomas “Hollywood” Henderson on a kickoff return. The ’90 Giants had to bludgeon their way through two time defending champion San Francisco on the road in the NFC Championship Game. In what was one of the most physical games in NFL history, each team had their quarterbacks knocked out of the game. For the Giants, Jeff Hostetler made it back onto the field to lead a game winning drive. As for Joe Montana?? Giant DE Leonard Marshall hit him with what NFL Films narrator Harry Kalas called “The Shot Heard ‘Round the Football World”. After evading a charging Lawrence Taylor, Montana sidestepped into a hit that would knock him out of football for nearly 2 years. The injury list compiled on that play for Joe? A bruised sternum, bruised ribs, a concussion, and a broken bone in his hand. If you were a fan of hitting, it was the game of the century. Then the Giants outlasted the Buffalo Bills 20-19 in Super Bowl XXV with a defensive masterpiece. They only employed 2 linemen and proceeded to funnel Bills receivers to the linebackers and started punishing Andre Reed crossing the middle. Ottis “OJ” Anderson falling forward for positive yards was the tough runner that powered the Giants. Each team was a run first team with Super Bowl XXV MVP Ottis (OJ) Anderson (The [[_]]) who would gain maybe 70 yards rushing to somewhat offset Franco Harris with about 95 yards. A young Terry Bradhshaw throwing to first time starters John Stallworth and Lynn Swann would have trouble with Mark Collins and Everson Walls. Collins was the best CB ever to cover Jerry Rice so putting him on Swann wouldn’t be an issue. Lankier Everson Walls on lanky John Stallworth would be a fun matchup. What would keep the Giants in the game was the fact that they were the first team in NFL history that averaged less than a turnover a game. Only 13 in a 16 game season. 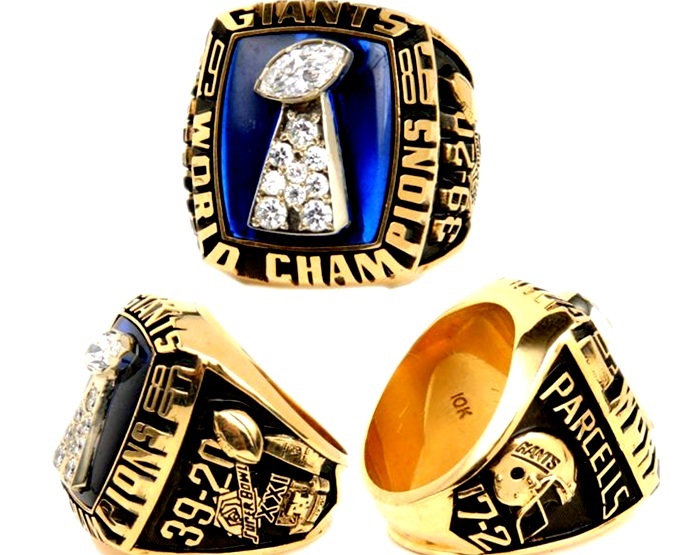 Even in Super Bowl XXV, they didn’t commit a single turnover. Steeler DT Joe Greene and the late Ernie Holmes would jam the middle closed on C Bart Oates and Gs William Roberts and Bob Kratch. After all with Greene (Hall of Famer) we’re talking of the reigning NFL Defensive Player of the Year from 1974. His play at “Stunt Tackle” would kill the Giants ability to call blocking audibles in this game. LT Jumbo Elliot would be able to handle the late Dwight White but RT Doug Riesenberg would struggle with LC Greenwood. Hall of Fame linebacker’s Jack Lambert and Jack Ham would battle Anderson on running situations but were agile enough to track of Dave Meggett on 3rd downs. The “Tampa 2” defense really started in Pittsburgh with a 220lbs. Lambert who could get 20 yards downfield early in his career. Hall of Fame member and 2 time NFL Defensive Player of the Year Joe Greene would wreak havoc on the Giants interior line. With 3/4 of the Steel Curtain wreaking havoc on a backup in Giant QB Jeff Hostetler the Steelers would pull away 27-15. Lawrence Taylor and Leonard A. Marshall could run stunts on LT John Kolb who was smallish for a tackle and would struggle with double teams on Marshall and would flat struggle with Lawrence rushing hard upfield. LB Carl Banks at 250lbs. would manhandle Steeler TEs Larry Brown and Randy Grossman. However with a few inside traps Rocky Bleier would flash for a few inside gains to keep Steeler drives alive. If Hostetler had more experience, the Giants would stand to win this but the Steel Curtain would get to him on passing downs. Joe Greene would easily be the MVP of this game. For that reason you have to go Steelers. Thanks for reading and please share the article. Don’t forget to visit: http://www.nfl.com/features/bracketology/alltimeteams?round=1#matchup=8 to select your teams.